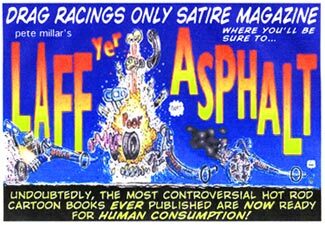 Pete Millar's LAFFyerASPHALT. Drag Cartoons, IskyToons and more. Pete Millar was a great drag racer, brilliant cartoonist and a best of friends to those who knew him. 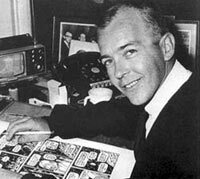 We lost Pete on February 28, 2003 but his work lives on. His loving wife Orah Mae and daughter, Robin will continue to offer the works available on this site and more "neat stuff" Pete did that was previously unavailable.